BREEDIT CORP COM USD0.0001 (OTCMKTS:BRDT) entered into a merger agreement with Novomic LTD which is a company from Israel. According to Bloomberg, Novomic designs and develops software solutions. The company provides healthcare solutions through software. Its main customers operate are in Israel. BreedIt will change its name to Novomic Corp. According to the terms of the agreement, a bridge loan was granted in the amount of $100,000 which is subject to return if the merger does not go through. In other terms laid out, BRDT will not have less than $700K in cash and no debt and/or liabilities of any nature whatsoever. In addition, Novomic will be able to designate two people on the board of directors and BRDT will designate one. Zvika Yemini, Novomic’s Chairman and principal shareholder, shall receive a base monthly compensation of $6,000 and additional compensation of $4,000 per month which shall be accrued and unpaid until BRDR, on a consolidated basis, achieves aggregate revenues of $1,500,000 from on-going business operations of Novomic. Novomic together with YMY Industry Ltd (“YMY”) and Microdel Ltd (“Microdel”) have all be considered to be known as Novomic fouders. Microdel Ltd invests venture capital in the select few concepts they identify as having the highest potential for success for growing into viable, marketable and profitable products in the global market. 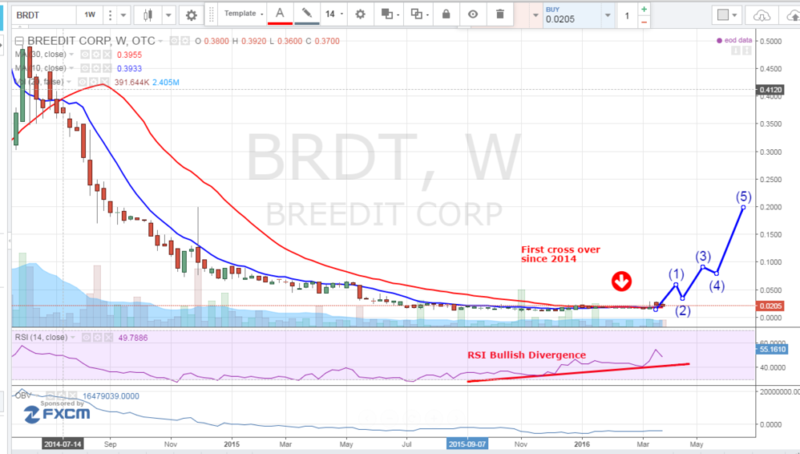 BRDT is currently trading at a $3 million market valuation. The company has announced that it will be merging with Novomic and changing its name to represent its new business. BRDT will essentially cease to exists as it does today. This is very akin to a reverse merger and should be beneficial to shareholders once they establish a business strategy. We will be updating on BRDT when more details emerge so make sure you are subscribed to Microcapspot so you know what’s going on with BRDT. Disclosure: we hold no position in BRDT either long or short at the publication of this article.